Levin Butler Culpepper is the father of Stephen Hall Culpepper, Male, born 1952, Nancy Butler Culpepper, Female, born 1953, and Alice Catherine Culpepper, Female, born 1955, all in Pasquotank Co., NC. Mary Ann Culpepper and James Kenneth Eden are the parents of Robert Anthony Eden, Male, born 1941 in Mecklenburg Co., NC. E-mail written 31 May 2011 to Warren Culpepper from Mary Helen Brock (#62454), Sparks, Nevada, e-mail address. Anderson Independent-Mail, Anderson, South Carolina. Obituary of James ''Jim'' Kenneth Edens, II (#62452), published 15 Oct 2004. Virginia Culpepper, Wife, F, Wh, 20, md, VA, 1935 in same place, Housework. Obituary* 3 Aug 1995� Barry K. Culpepper, 39, of the 600 block of Georgia Ave., died 30 Jul 1995, in Norfolk. Mr. Culpepper was a native of Baltimore, Md., and was a lifelong resident of the Norfolk and Portsmouth area. He was a graduate of Old Dominion University and a retired teacher for the Isle of Wight County School System where he taught Marketing Education. Survivors include his father, John M. Culpepper; an aunt, Louise Culpepper Brinkley; an uncle, Vernon Culpepper; and cousins Kathy B. Leppert, John Brinkley, and Richard H. Culpepper. He was predeceased by his mother, the late Alice M. Culpepper. + Culpepper, Alice M 57782689, 1920 - 1967. Obituary of Barry K. Culpepper (#42698), published 3 Aug 1995. David Paul Culpepper, Son, M, Wh, 16, sng, VA, 1935 in same place, School. 24 May 1995 obituary for David P. Culpepper. E-mail written 2011-2012 to Warren L. Culpepper from Warren Edwin Firman, e-mail address (Jun 2012). Provided photograph of tombstone in Oak Grove "Portlock" Cemetery, Est 1850, Portsmouth, VA.
Obituary* 19 Sep 1996� Janell E. Culpepper, of the 8100 block of Foxdale Drive died 18 Sep 1996, in her home. She was a retired teller from the Bank of Virginia and also worked at Smith & Williams Funeral Home as a secretary. She is the widow of David P. Culpepper (b 6 Aug 1924, d 22 May 1995). Survivors include her daughters, Linda Miller Chapman of Virginia Beach and Janell Wilson of Norfolk; sisters, Virginia Sexton of Scottsdale, Ariz., and Ema Ames of Mobile, Ala; four grandchildren, Vernon Chapman Jr. of Norfolk, Julie Wilson Asbra of Fairfax, Va., Merri Janell Chapman of Norfolk, David Wilson of Norfolk; two great-grandchildren, Christine Janell Chapman of Norfolk and Wilson Patrick Asbra of Fairfax, Va.
Obituary of Janell E. Culpepper (#42700), published 19 Sep 1996. 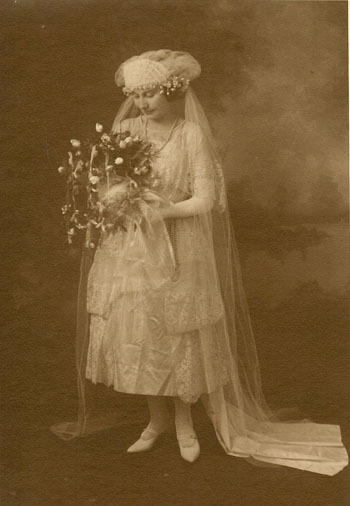 North Carolina State Archives, compiler, North Carolina Marriage Collection, 1741-2000, Online database at Ancestry.com, 2005. Ruby Jeanette Culpepper, White, Female, married Harry Elmer Trent, Jr. in 1976 in Pasquotank Co., NC. Father* Thurlow Gibson Culpepper Jr.
Jody R. Snider, "Teacher Helps Parents", January 31, 1993, Section: Suffolk Sun, Page 3. E-mail written Dec 2015 to Lew Griffin from Certified Genealogist Sharon Gable, e-mail address. Garland Culpepper, Son, M, Wh, 134 sng, VA/VA/NC. Robert E. Culpepper Jr., Son, M, Wh, 5, sng, VA, 1935 in same place. 13 Feb 1998 obituary for Garland Richard Culpepper. Obituary of Kathleen Wiggins Culpepper (#42718), published 26 Apr 2009. + Culpepper, Kathleen Wiggins 61828289, 1930 - 2009. E-mail written 1 Aug 2008 to Culpepper Connections from Robert Edward Culpepper Jr. (#42717), Vero Beach, FL, e-mail address. E-mail written Sep 2009 to Culpepper Connections from Lorena Culpepper Barnes (#42724), e-mail address. Obituary* 26 Apr 2009� PORTSMOUTH - Kathleen Wiggins Culpepper, 78, went to be with her Lord April 24, 2009. Kathleen or "Kitty," as her friends and family called her, was born in Ela, N.C., and raised and spent her beautiful life in Portsmouth. She was the oldest daughter of the late Lucy Fowler and Andrew Jess Wiggins. She was a graduate of Wilson High School, Class of 1946. Kathleen was predeceased by her husband of 50 years, Garland Richard Culpepper, former owner of Culpepper Radiator Service Inc., Portsmouth, and a grandson, Clifford T. Culpepper. She leaves behind to cherish her beautiful memory sons, Richard A. Culpepper and wife Linda, David S. Culpepper, both of Chesapeake, Philip E. Culpepper and wife Jennie Bob of Chapel Hill, N.C; grandchildren, Alice C. Yandle and husband John of Chesapeake, Courtney A. Culpepper of Portsmouth, Alexander R. Culpepper and Adam G. Culpepper of Chapel Hill, Lindsay Henderson and wife Kathy of Suffolk; great-grandchildren, Andrew and John David of Chesapeake, Mack and James of Suffolk; brothers, Donald F. Wiggins and wife Rose of Williamsburg, Va., Thomas G. Wiggins of Portsmouth; sister, Marguerite W. Price and husband Thomas of Salt Lake City, Utah. Kathleen "Kitty" was a very active member of Churchland Baptist Church, Chesapeake, where she was a member and secretary of The Rachel Sunday school class. She enjoyed being able to use her talent and love of sewing to make many of the costumes used for the church's activities. She also was very active with the children's church, the church's fellowship hall and kitchen work. She was able to work with ladies in her Sunday school class as they made blankets for children in crisis for The Rachel Class Blanket Project. Many thanks to her dear friends of her Sunday school class for their comfort and help they gave to their beloved friend, Kathleen. Kathleen enjoyed spending much of her time in the garden and in the sewing room. She was a former founder and president of the Port Norfolk Garden Club. Garland and Kathleen enjoyed traveling to antique car shows, quilt shows and train shows. E-mail written Dec 2010 to Warren Culpepper from Linda Holland Culpepper (#60230), e-mail address.